Talk about cookbooks? I could go on and on for hours – that’s exactly what I’ll be doing this weekend, along with thousands of other fans of writing about food and history and beer and wine, at the Kerrygold Ballymaloe Litfest. Fortunately, I didn’t get quite as long to talk on Monday in the Irish Times podcast studio. 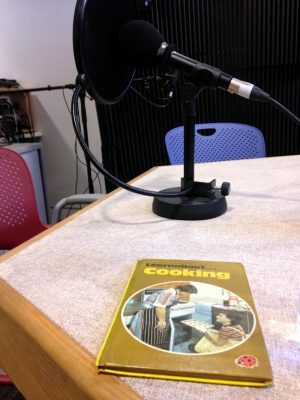 I joined Gary Quinn and John Wilson there to talk cookbooks and Litfest and Garrett Oliver and Ravenous! The Cookbook Chronicles. 25 minutes isn’t nearly half enough time to squeeze all those things in, although I still did manage to have enough time to mis-pronounce David Lebovitz’s name – perhaps it’s just as well that I didn’t have any longer for word-mangling. * The Chez Panisse Story – four legends on stage talking about the restaurant that has launched a thousand spin-offs. Alice Waters will be there, alongside former Chez Panisse cooks David Tanis (his book, One Good Dish, celebrates simplicity), April Bloomfield (check out A Girl and her Pig for lots of big, bold flavours) and David Lebovitz (I’ve chortling my way through his book, The Sweet Life in Paris). * Coffee: The story from bean to cup – Tim Wendelboe started off as a barista; now he owns and runs his own well known coffee roastery in Oslo, alongside an espresso bar and a coffee school. He also happens to be a part-time coffee farmer and is hugely invested in coffee education and focus on improving farm practices. If you want to learn about all the work that goes into your cup of coffee, he’s the man. * Honey & Co – after having been inspired by and cooking from their Honey & Co cookbook for the last week, I would recommend either of Sarit Packer and Itamar Srulovic’s events – but, alas, they’re already sold out. Make sure you pick up a copy of the book – it’s definitely worth it. * Any of Joanna Blythman‘s events are worth getting to. Her books expose the murky side of the food chain and her latest, Swallow This, investigates “natural ingredients” and the kind of smart labelling practices that conceal more than they reveal. * Jack Monroe first came to prominence through a blog post called Hunger Hurts. Her book, A Girl Called Jack, is a simple how-to cook and eat well on a tiny, tiny budget with recipes that bely their budget origins. * Also – just in case you missed me going on about it already – any of Garrett Oliver‘s events. What cookbooks in your collection do you love/hate/use all the time/have hardly ever opened but can’t bear to part with? We want you to tell us all about the cookbooks in your life and what they mean to you, ranging from the most stained, tattered and dog-eared old ‘bible’ to the glossy tomes you’ve hardly opened since the day you brought them. Most of all, we want to hear about your cookbook epiphany, that pivotal moment when a cookbook or recipe changed your culinary life – for better or worse. 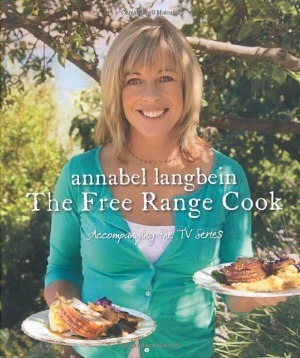 Bring along your favourite/most detested/crappiest/best cookbook to The Garden Tent and speak to us and all the other cookbook fanatics about it for just five minutes. Tweet @Bibliocook or @CulinarianPress (hash tag #CookbookChronicles) to participate, leave a comment here or just drop by The Garden Tent between 3pm and 5pm on Saturday 16 May and let us know that you’re up for it.